I do declare-a southern favorite! 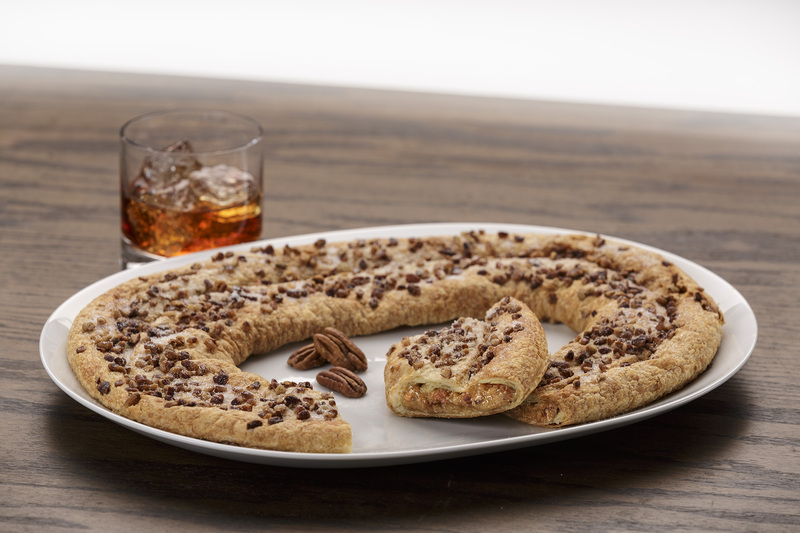 Our Bourbon Pecan Kringle is baked with pecan pie filling and gets its delicious and distinctive flavor from bourbon. 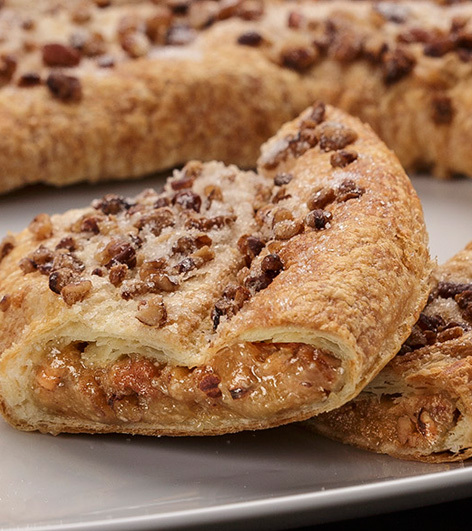 It’s topped with delicious sugary pecans. A southern combination not to be missed! Sugar, Wheat Flour, Margarine (Interesterified Soybean Oil, Water, Salt, Mono- and Diglycerides, Colored with Annatto/Turmeric. Calcium Disodium EDTA added as a preservative. Artificial Butter Flavor. Vitamin A Palmitate added. ), Pecans, Corn Syrup Solids, Brown Sugar, Eggs, 2% or Less of the Following: Enriched Wheat Flour (Flour, Niacin, Iron, Thiamine Mononitrate, Riboflavin, Folic Acid), Palm Oil, Egg Yolks, Ethyl Maltol, Nonfat Milk, Potassium Sorbate (preservative), Water, Corn Syrup, Yeast, Soy Lecithin, Soy Protein, Salt, Dextrose, Maltodextrin, Tocopherols Preservative, Calcium Propionate (Preservative), Soy Flour, Canola Oil, Oleoresin of Paprika, Guar Gum, Turmeric, Beta Carotene, Natural & Artificial Flavors (milk), Malted Barley, Corn Starch, Color Added.